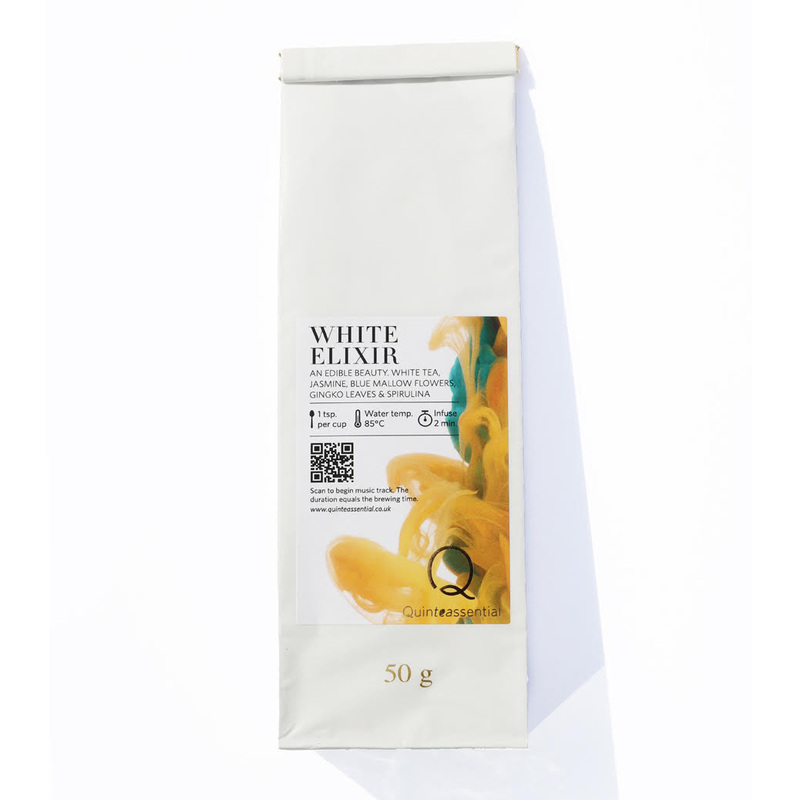 White Elixir, a premium white tea bursting with antioxidants and charged with superfood Spirulina Algae, was designed to promote a healthy complexion and foster inner glow. The blend has delicate floral notes of Jasmine and can be enjoyed hot or iced. Cold-brewing offers the perfect refreshment on warm Summer days and retains more of the teas natural antioxidants. The award winning blend helps lower blood pressure & cholesterol, promotes weight loss and encourages healthy skin, nails & hair. A true liquid ‘beautea’. This loose leaf white tea is infused with Jasmine blossoms, gingko leaves and spirulina algae to create this healing blend. Designed to restore a natural glow from the inside out, our award-winning blend echoes the fragrance of a natural spa.